Brief Synopsis – After their son is kidnapped, a wealthy business man and his wife must decide how to proceed in order to get him back. My Take on it – This is a film that I recall seeing years ago but didn’t remember it as well as the Mel Gibson remake of the film that came out in the 90’s. Glenn Ford is great in the lead role and manages to give off the feeling of how far a father is willing to go to save his son. The story is told solely from the perspective of the family and unlike the remake, we don’t get to see the side of the kidnappers which is also good and bad. The fact that it solely focuses on the way that the parents deal with this situation is great and allows us to care more about what will happen as we see the various stages that they must go through during this ordeal. It’s bad tho because the story in some ways feels a bit tame because it is told from just one side which probably has a lot to do with the fact that this was made in the 1950’s. The tension level in the story is slowly raised as the story unfolds and reaches a point where things are quite gripping. Love seeing Leslie Nielsen in this film because he is able to show his work as a dramatic and serious actor since many moviegoers only know of him as a comedic actor in 80’s spoof movies. Of the two versions, the Gibson version is slightly better due to the way they show the story from various perspectives. Bottom Line – Great premise that is shown a bit too tamely. Ford is great in the lead and they manage to show this whole story just from one perspective quite well. The story unfolds at a great pace and they are able to raise the tension level slowly to a point where things are quite gripping. Nielson is great in this dramatic role that he feels so miscast in yet for those who are aware of his past career before comedy know that this was hos standard for over 25 years. 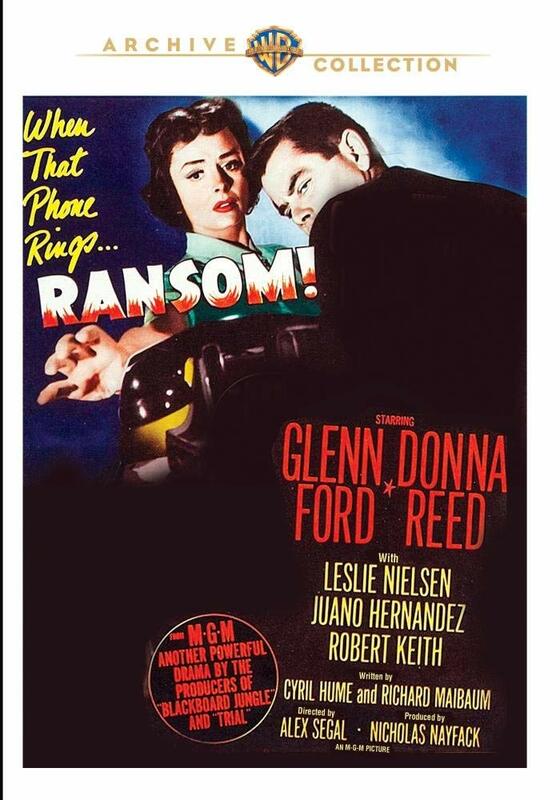 The Gibson remake is slightly better since it gives us the angle of the kidnappers also. Recommended!